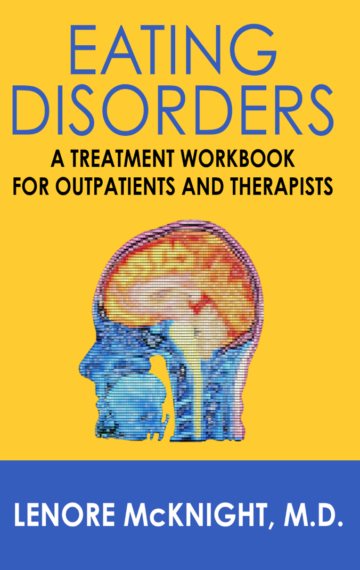 This revised workbook is designed to provide a cohesive treatment framework for adolescent and adult outpatient eating disorder treatment programs, such as partial hospitalization programs (PHP), intensive outpatient programs (IOP), and individual therapy. The workbook offers guidelines for meal monitoring, essay topics, questionnaires, and worksheets. The workbook is organized using stages of treatment to help keep the treatment team coordinated with the patient’s treatment goals. By engaging with the workbook, the patient will begin to understand the medical complications of their illness and explore body image issues. The patient will start to be honest with themselves and others, to understand their anger, and to confront their fears. They gain self-acceptance and self-esteem. They come to realize that their illness is not their identity.